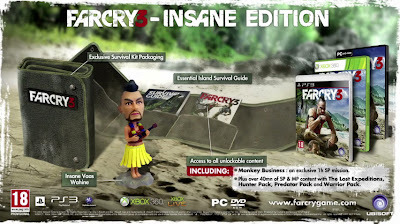 Recently, Ubisoft announced details of the UK Far Cry 3 Collector’s Edition, available for the Xbox 360, PlayStation 3 and PC versions of the game! 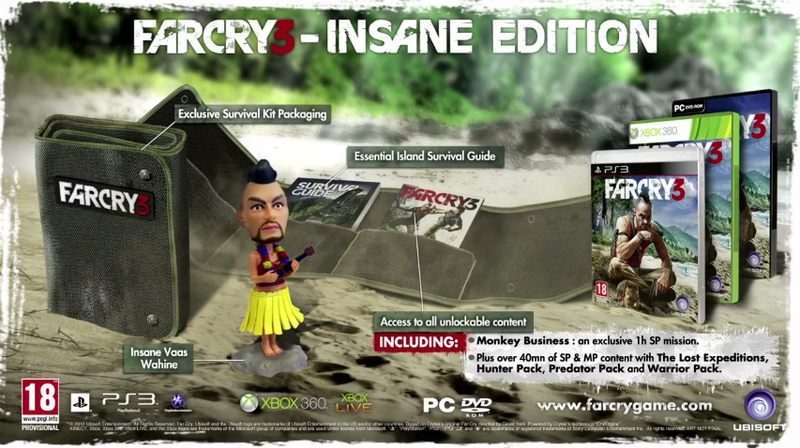 · A 12cm Vaas Wahine with bobble head! · The Hunter Pack – The M700 hunting rifle and its three collector’s skins. · The Warrior Pack - A handcrafted dagger and two exclusive tribal tattoos. · The Predator Pack - Four exclusive rare predators and a multiplayer bow.